As I mentioned in my last post, I did what I said I wouldn't do again and made another quilt. As with my last quilt, this one was made for Friend's Baby. This quilt was actually Plan B. Plan A was a knitted blanket using the double knitting technique, whereby the blanket would have a front and a back which are knitted together at the same time. It was going to have the Hogwarts crest on it (I mentioned it in this post), but it turned out my tension was all over the place and I was also the world's slowest double knitter - Baby would have been about nine by the time I'd finished it! So I went with a quilt instead, because I'd been feeling the urge to quilt again. I didn't use a pattern for this quilt, which makes it sound a lot more impressive than it was - that's not actually true. I used the instructions from the first quilt, and cut the same width of border and binding. 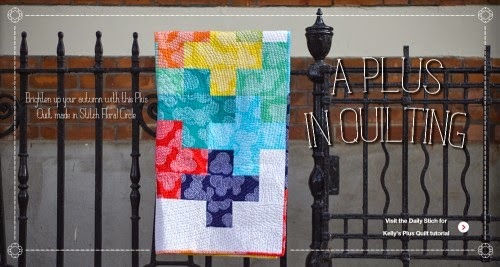 The idea came from this quilt on Megan Nielsen's blog. I loved the triangles, they looked easy to put together and are a lovely design; I knew I wanted stars on it, and thought they'd look good together. I struggled a bit with deciding on the colours. I had initially wanted dark blues for the background, but then thought it would be too dark, so went with sea green and blue. I also struggled with picking the fabric, but stumbled upon a flash sale at The Village Haberdashery in the middle of January. I was very taken with this quilt in the photo below on the website. I liked that the fabric pattern is the same, but the fabric colours are different - also the circular quilting is amazing. I had a look at the fabric used in it; but the yellow was too bright for what I wanted, so I ended up with a fabric called Pearl Bracelets, and the colours I used are Juniper, Basil and Citron. Cutting was a breeze, I used my rotary cutter (which now really needs a new blade! ), and it was cut out in no time. Sewing the triangles was also a breeze, after I had the sense to google it. I found this great tutorial on sewing triangles which basically tells you to put two squares right sides together, draw a diagonal line down the middle, and sew 1/4 inch on either side of the line. Cut down the line, and dah-dah - two sets of two triangles sewn together! I attached the stars using fusible web. I had cut out an extra star to practice on, and was glad that I did; because, as the yellow is so pale in colour, the green and blue showed through underneath it. I ended up fusing two layers of white cotton lawn under the stars to stop the colours showing though. I am very pleased with the yellow stitching around the stars. I attached them using a narrow zig-zag stitch and a satin stitch foot. My stitch width was 2.0, and stitch length was 0.2, and I narrowed the stitch width slightly when sewing to the point of the stars. I learnt to do this from a quilting book called Quilting For Dummies, and can definately recommend it. Sewing the squares together was fine, as there were only 25 squares; but it was after this that it got a bit tedious. Hand-basting the backing, batting and quilt top was slow going, and the quilting seemed to take forever! I stitched a 1/4 of an inch from the seam lines, and found myself marvelling at how I ever managed to get the bigger quilt under my machine! I forgot to measure this one, but I think it's about 30 inches square. I told Andrew that if I took the notion to quilt again, he was to take my machine off me - but I might amend this to saying that I'll only make cushion covers! After a bit of panic sewing, I got it finished and washed in time, and only remembered to take some photos of it on Thursday morning before I left. Hence the fold creases, as I had to take it out of my suitcase! The most important thing is that Friend and Baby loved it, and Baby is absolutely gorgeous. I hadn't seen her, except for photos, but my sister had already visited them before. Another reason for our trip was that Friend's Mum and I are on christening dress making duty. It turns out that the patterns for christening dresses are completely underwhelming, and after a lot of emailing, we decided to use New Look 6115, which turned out to be out of print! Some frantic internetting later, Friend's Mum and I both ended up with a copy each (thank goodness for ebay! ), but we were better to have two patterns than none. Friend wanted to have a dress with sleeves; so I completely winged it, drafted raglan sleeves and made a toile. I brought it with me, we tried it on Baby, and the sleeves fitted! The dress was a bit too big, but the christening is at the end of March, so it was grand. The only other mods we did were to raise the neckline by 1 1/4 inches and lengthen the skirt. Friend's Mum had already made the skirt and skirt lining, and I made the bodice and sleeves. We then sewed lace ribbon to the centre front and back panels, and it's just gorgeous! We didn't hem the skirt because we ran out of time and bias tape, but Friend's Mum can do that. 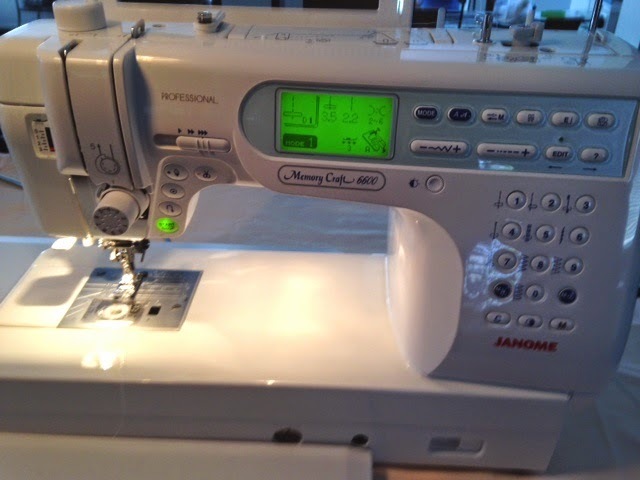 And I have to show you what we sewed it on - this is Friend's Mum's fancy new machine that she got last year. 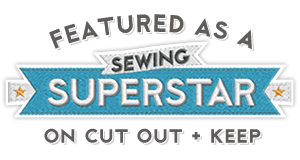 It was just a dream to sew with, and it even has a button that cuts the threads for you! Naturally Friend's Mum had to take me to the local sewing shop, where she is on first name terms with the ladies who work there. We went on Friday morning, and we were all chatting about The Great British Sewing Bee that started on Thursday night. Sister and Friend had no choice but to watch it. Anyway, here's what I bought. The top one is called Fuschia Tree by Amy Butler; at £7 per metre reduced from £12.99 it would have been criminal not to buy it. 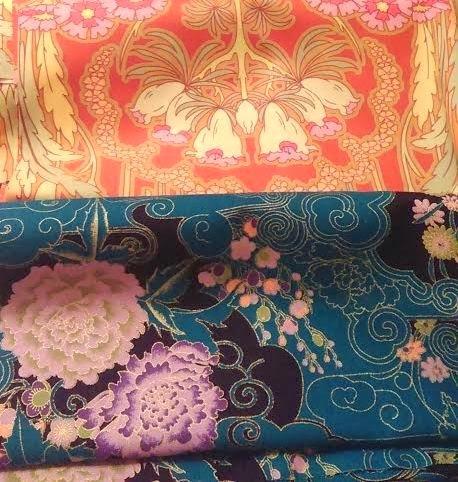 And the bottom one is called Asian Blossoms by Alfred Shaheen, and it was £8.50 per metre. They are both going to be summer dresses. You're just showing off now! Beautiful quilt and I normally don't comment on quilts but this is lovely. I'm really impressed with your top stitching too. Lol! Thank you! I wouldn't look too closely at the top stitching, some of it is decidedly dodgy! Hope your quilting is going well. What a lovely quilt! I like the stars on that background. I never tried quilting, but it's something I'd like to try one day. Thank you! Sewing baby presents is definately faster than knitting! Well done on your second quilt - and it sounds like you whipped this one up really quickly, I'm so impressed (considering it took me about 6months to make a baby quilt!)! Really love the fabric you chose, and the stars were such a great idea! Where are the pics of the christening dress?!?! Would love to see some! And yum, love the new fabrics you have bought! Thank you! A deadline is a great leveller! I completely forgot to take some photos of the christening dress! I remembered when I was coming home, and I got told off in work about it too! I'll take some at the christening. The quilt is beautiful. I love the colour combination and fabrics you chose. And I laughed at your escapades at Heathrow!! I can imagine you legging it through to departures!!! Thank you! I'm very pleased with how the colours tuns out, because matching colours scares me a bit. I still can't get over my sister and me at the airport! We are normally a lot more organised, but we just completely lost track of time. I think Heathrow have to take some responsiblity though for having such lovely shops in Terminal 5! Luckily we were only about a minute away from the gate, and we had to make a run for it in our high heels; but we'll definately not make that mistake again! Thank you! 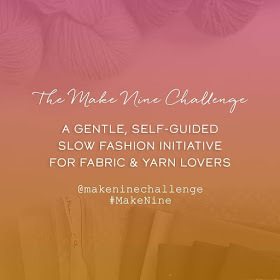 I'd love to hit the fabric shops in London, but my friend lives a little bit outside London, and we don't have any plans to go into the city in March. But thank you for asking me! I had heard of Alfred Shaeen (and seen some of the gorgeous dresses on the interwebs), and got a surprise when I saw the name on the selvedge of my fabric, because I didn't know they did fabric either. Thank you! This shop was a bit outside of London, but I would love to go to the London fabric shops too. Very cute quilt. Well done for quilting under pressure. My, that sewing machine does look fancy. One day I hope to have an amazing machine like that. Thank you! That sewing machine really was fantastic, and I think I know what I want to make with the Asian Blossoms fabric.